In addition to the $500 million-plus renovation that Hard Rock Stadium recently underwent, the Dolphins and their hospitality provider, Centerplate, have completely revamped and enhanced the stadium’s food service operation making it one of the most advanced sports and dining venues in the entire nation. Hard Rock Stadium’s roster went from 16 foodservice concepts in 2014 to over of 40 this season, and it’s a total game-changer. It may actually have you rethink your tailgate plans. Whether you attend a Dolphins or Hurricanes game, a concert, soccer game, or the Orange Bowl, make sure to bring your appetite and prepare for an elevated and winning culinary experience. As invited guests, we got to tour and sample the food service with a team from both Centerplate and the Miami Dolphins management. Dining options include David Chang's Fuku, O-B House, healthy options at grown, Jackson Soul Food, Shorty’s BBQ and upgrades to their two Tap Rooms. In addition, Mojo Donuts and Πzza join returning concepts such as Shula Burger and Sushi Maki to provide fans with a true taste of South Florida while making Hard Rock Stadium an incredibly delicious destination. Named after NFL Legend Don Shula, who is synonymous with perfection, Shula Burger features chef crafted, chargrilled, premium burgers made with a perfect blend of Black Angus, short rib, and brisket. Whether you go for the juicy Shula burger or the Shula BBQ burger, which features smoked bacon and BBQ sauce, don’t forget to go for two with sea salt fries and their sweet potato tots -- you’ll thank us later! Fun Fact: Over 3000 burgers on average are sold at each game. Former NBA star Ray Allen and his wife, Shannon, founded this 100% organic-certified fast food concept, which is the first full organic restaurant within a sports facility. If you’re looking for a healthy yet mouth-watering game day dining option, this is just the spot. Their motto is, “Game Days don’t have to be Cheat Days”. Be sure to order the free range panko crusted chicken tenders, the Havana Wrap and a “love greens” fresh-pressed juice. Pro tip: adding the panko crusted chicken tenders to the Havana wrap is a victory in itself. Breakfast is the most important meal of the day, and now you can have it all day at Hard Rock Stadium. Fans can enjoy the best breakfast in South Florida from O-B House knowing it’s thoughtfully sourced, always fresh, and made from scratch. O-B House is famous for their thick and rich 8” oven-baked buttermilk pancakes available in three flavors: plain original, andouille and corn or fresh blueberry. They also serve fresh coffee, fresh squeezed orange juice and mimosas and mango Bellini’s, which are sure to be a fan favorite. 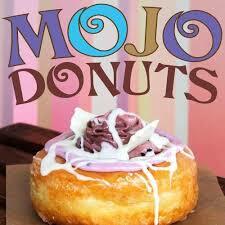 South Miami’s Mojo Donuts opened an outpost at section 213 of the stadium. A special truck will transport freshly baked donuts for each game. Look for a dozen different flavors including favorites Abuelita and Deco Delights. 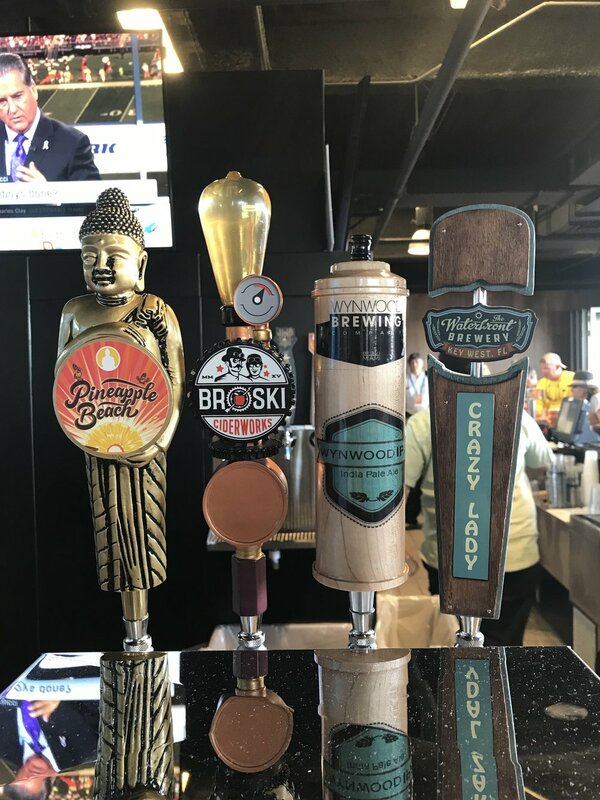 Hard Rock Stadium and Centerplate make quite the winning team, and their enhanced food and beverage concepts cannot be beat. Huge flat screen TV’s dot the dining areas, so you can still watch the game with friends while enjoying these creative food options. 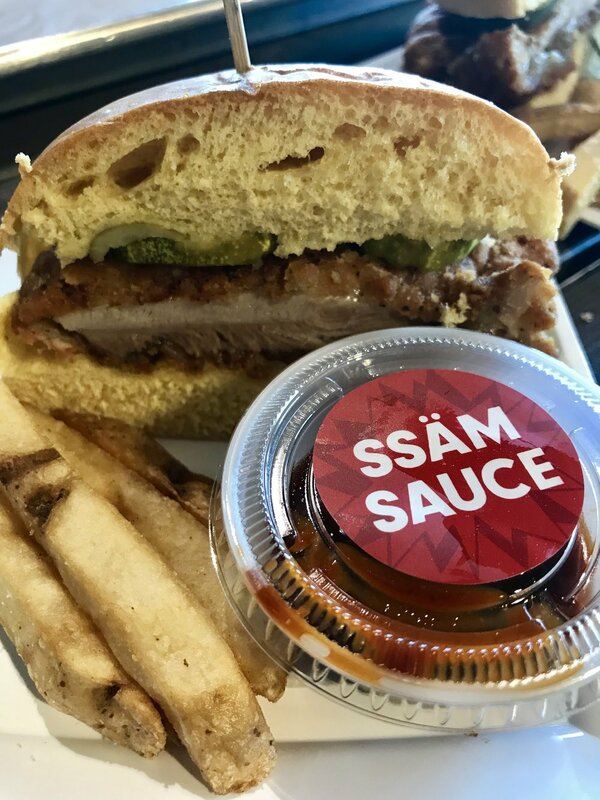 Regardless of the final score, one thing is certain, you’ll feel like a winner after trying their new food and beverage offerings!